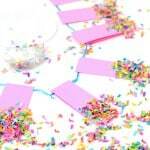 Home / Mod Podge Crafts / Party / Confetti Coasters for Your Next Party! 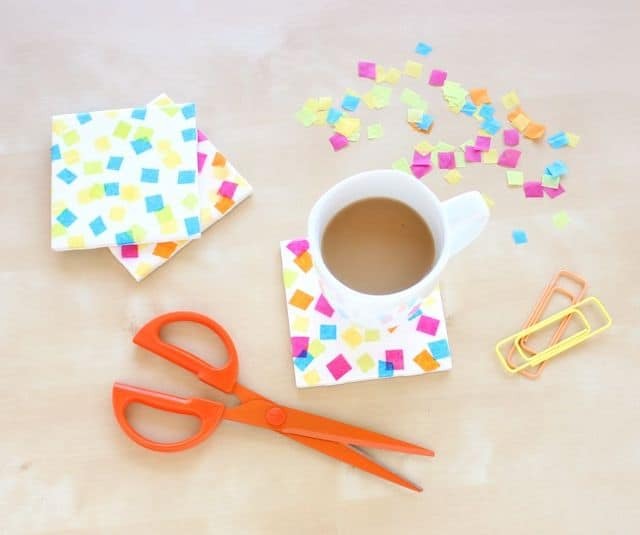 There are a million ways you can transform plain coasters with Mod Podge – and tissue paper confetti is one of them! 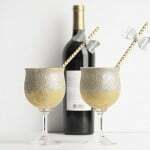 These are made from hardware store tiles. Get the tutorial here. 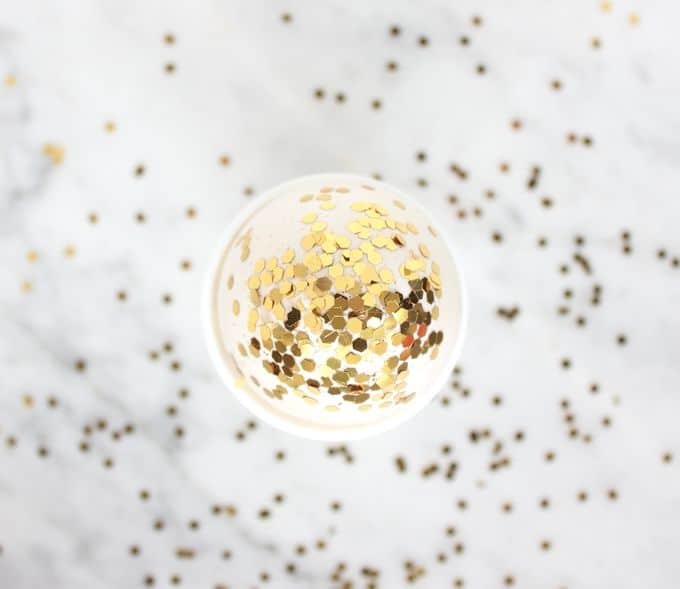 Hello everyone, it's Rachel from Lines Across here with you to share a fun and festive confetti coasters tutorial. 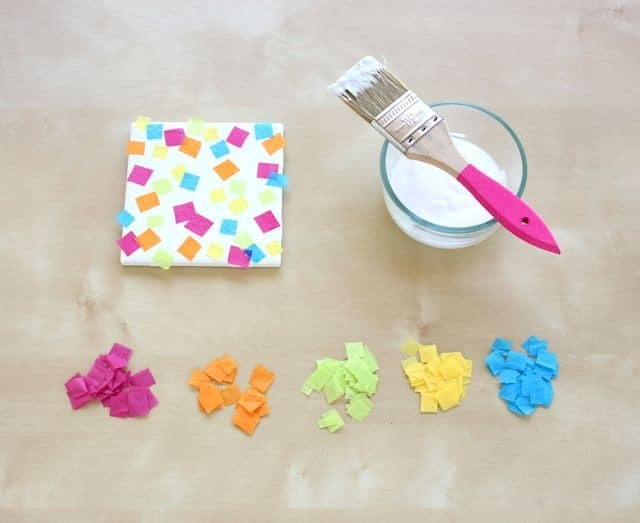 There are a million ways you can transform plain white tiles you can find at Home Depot for less than a quarter with Mod Podge, and using tissue paper is definitely a fun one. 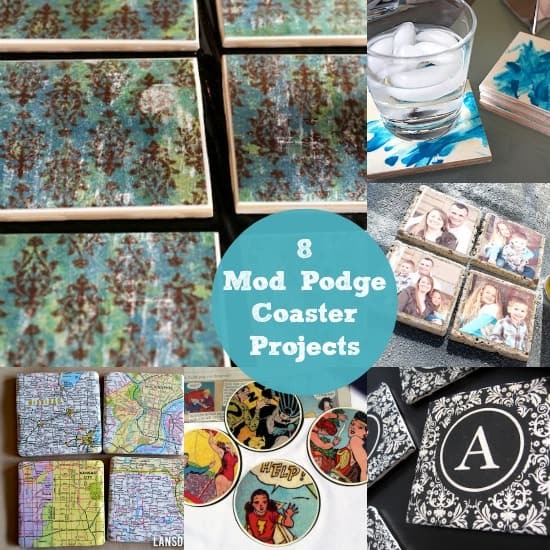 I know your first question might be, “Is Mod Podge waterproof?” You know, in case you want to set a perspiring drink on top of the confetti coasters when they're done. You need to click on the link here to find out. 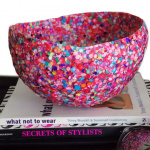 In the meantime, you'll love making this project – it's SO easy. Learn how to do it below! 1. Start by lightly cleaning your tiles with rubbing alcohol. 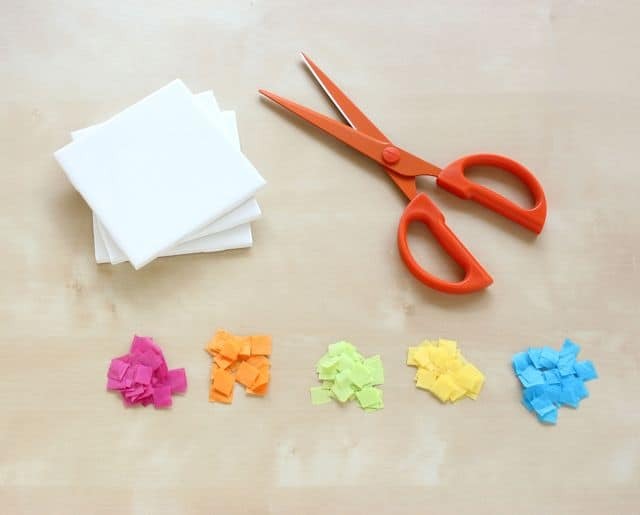 Cut up pieces of tissue paper into little squares. 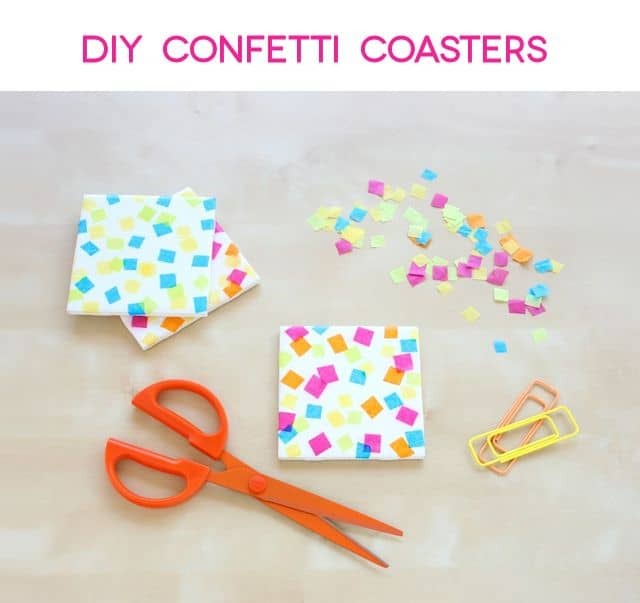 You could also use a circle punch or cut triangles or rectangles or really anything you can come up with. 2. Cover your tile with a medium coat of Mod Podge. Place the pieces of tissue paper directly onto the tiles. I had fun making different color schemes for different coasters. I let some of the squares fold over the edges. You may need to dab a little extra Mod Podge on the edges when you fold them over. 3. Let this first coat dry before you add another one! I learned this the hard way. When I tried to add a second coat too soon, it smeared a little bit of the tissue paper's dye into the Mod Podge. When I waited to add a second coat, this really didn't happen at all. 4. Optional: You may even want to add a third coat after the second coat has completely dried. Add felt circles or a big piece of felt to the bottoms of the tiles so that it won't scratch your furniture, and enjoy! These coasters are so fun and cute! 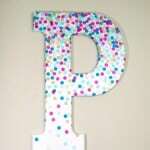 I want to make some for our house asap!